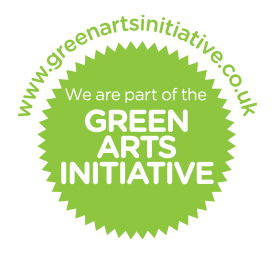 By signing up to the Green Arts Initiative you’ll have access to Green Arts branding to talk to audiences, artists and funders about your green work and become part of a growing network of artists and organisations working towards a more environmentally sustainable cultural sector. Interested to learn about what other organisations are doing to run themselves more sustainably? Our Resources page has a wide range of best practice stories and case studies to inspire you. From energy saving measures, to environmental policies, from staff engagement to sustainable procurement, there’s something for everyone. For many Green Champions we know that the prospect of recording and reporting your emissions can be quite daunting and it can make all the difference to get specialist advice and to talk over what you need to do in your organisation. You could be struggling to find your energy meter, be new to our online tools or keen to get other staff involved. Whatever the reason we are happy to meet with you at your office or venue. Please email our Carbon Advisor Fiona MacLennan to arrange a meeting. Writing down your environmental policy will help you carry out your green actions. Your policy doesn’t need to be long and complicated. It should be an active document which makes it easy for members of staff to make more environmentally sustainable choices in your organisation. Most importantly, it should be simple, practical and have backing and approval from your management team. 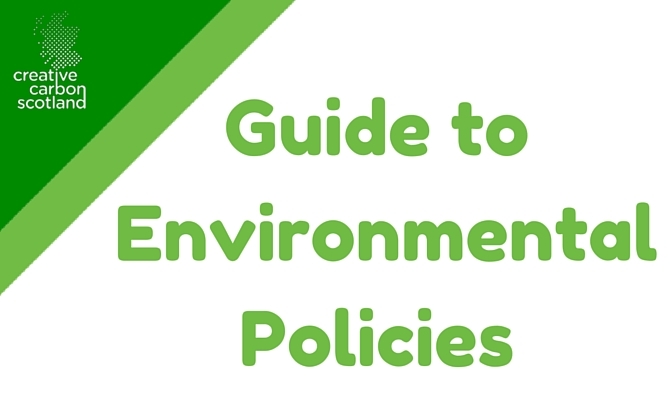 See our Guide to developing your environmental policy .